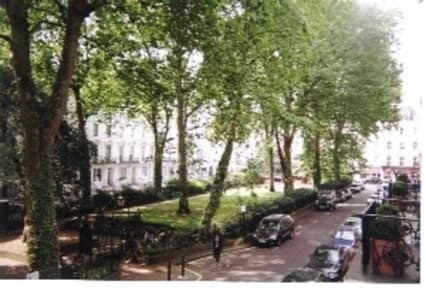 Central London Hotel Accommodation situated in a quiet beautiful garden square in the heart of London. The accommodation has 20 rooms with tea/coffee making facilities, and central heating. Hairdryers, Adaptors and irons available on request. The reception is open 24 hrs, and the staff offer a personalized and friendly service and Free Breakfast!!! The Hotel provides the ideal location to Oxford street - shoppers paradise or whether you want to visit some of the famous historic sights like Big Ben, Tower Bridge, Westminster Abbey and Buckingham Palace, drink a pint of England's finest ale, see a West End show or take a stroll in Hyde Park, not forgeting the hip international restaurants and the city's vibrant multi cultural population. London's fascination is its variety. Old and new stand side by side. History, pageantry and tradition mix with the modern, eccentric and avant garde, London the city thats in a world of its own offering something for everyone. Getting here: By Tube: Our nearest underground station is Paddington, which has the Bakerloo Line, Circle Line, District Line and the Hammersmith and City Line. 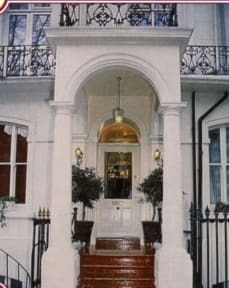 Once you exit from the tube station, please walk on your right until you reach London Street, then turn left into Norfolk Square we are located on the left hand side at number 30. By Bus: 2 minutes walk from hotel. The London Buses that are nearby are the 36, 15, 23 and 27. From Heathrow Airport: you can take the Heathrow Express, which will take you directly to Paddington Station, then follow directions as above. Bed linen, towels and blankets are included in the price. No extra charge for guests paying by credit cards. All rooms are equipped with televisions and free satellite channels. Free Wireless internet access for guests with laptops. You can leave your luggage with reception if you arrive early or have a late departure.